Why Choose a Briquetting Press from Hocker North America? Compacting production by-products to a fraction of their original volume reduces storage and disposal costs. Organic material can be reduced down to a tenth of its volume. Lightweight metals can be reduced down to a twentieth of its volume. Compacting produces high-value material, as wood briquettes are used for fuel, while metal can be scrapped. Briquetting machines from Hocker North America make production cleaner and safer. Machines in the BrikStar series are distinguished by their lasting build and innovative controls. Hocker North America is not only focusing on the continuous development of the applied technology, but also on the comprehensive support and maintenance of machines on your site. Our service technicians can be reached around the clock. The briquetting presses of the CS series are specifically designed for mounting underneath a separator or dust collector. The low profile of these presses also makes them ideal for retro-fitting underneath existing dust collectors. The presses are built on frames and are delivered ready for connection to reduce installation costs. For each material, the briquet length depends on the form. The throughput is in the range of 30-60 kg/hr. Unnecessary running of the press is prevented by the combination of an external start-signal with an automatic switch-off. Briquetting presses of the C series are compact, built with a solid frame and have an integrated hydraulic system. They are shipped ready for connection. Their price/performance ratio is very attractive. Start-stop controls prevent unnecessary running of the press. An interlocked inspection door ensures safe operation. A stable screw feeder housed in a generously dimensioned trough feeds the material to the briquetting chamber. A high throughput (30-150kg/hr) is possible no matter if the material is light or coarse. A BrikStar V is a modular design and can meet very demanding requirements regarding sitting and feeding. Throughput is in the range of 30-150 kg/hr. A BrikStar V is configured as a press unit with separate hydraulic system, electrical panel (including PLC controls) and flange for connecting a screw feeder and trough; but without hopper and agitator or hopper and walking floor. Our sales engineers are happy to give advice on available options and how to adapt a press to your requirements. We have a wide range of hoppers and feeding arrangements for your unit. The BrikStar CM series is specifically designed for briquetting aluminum, magnesium alloys and other lightweight alloys. A solid screw feeder- housed in a generously dimensioned trough- feeds material from the hopper to the briquetting chamber, and makes a throughput in the range of 40 – 230 kg/hr achievable. 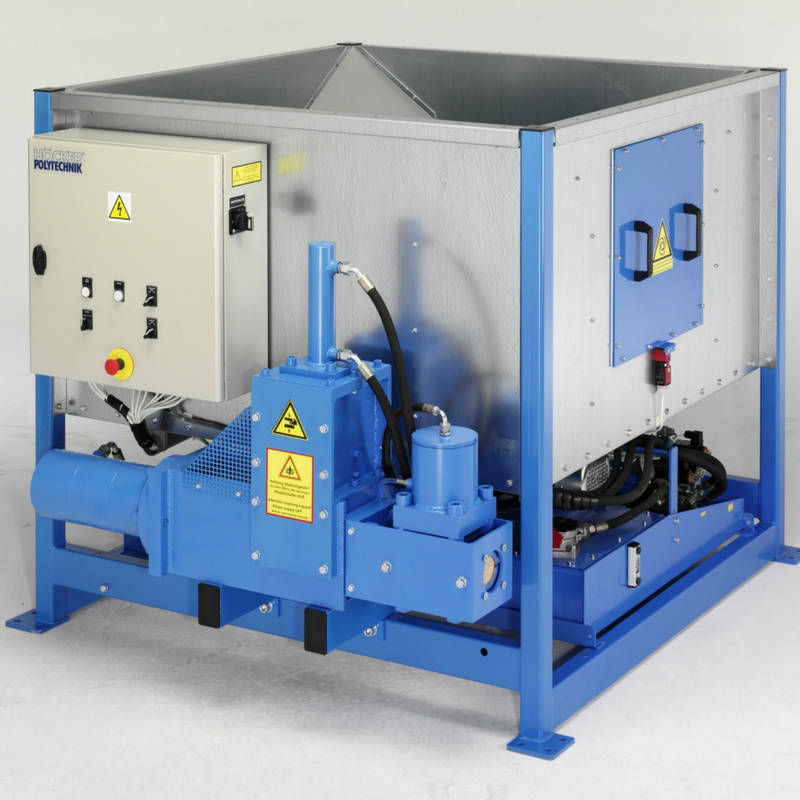 Cooling and cutting fluids are extracted and recycled for re-use. CM briquetting presses are compact, built with a solid frame, and have an integrated hydraulic system. The inspection door has an interlock guard switch. Each CM briquetting press is shipped ready for connection. Numerous options are available that optimize performance and widen the range of applications where a BrikStar CM can be used. A BrikStar VM is configured as a press unit with separate hydraulic system, electrical panel (including PLC controls) and flange for connecting a screw feeder and trough; but without hopper and agitator or hopper and walking floor. This press is the ideal solution for very specific requirements, otherwise it has an identical performance to a BrikStar CM. We would welcome the opportunity of discussing with you how a BrikStar VM could be integrated into your production process. These briquetting presses compact short, gravity flowing chips produced during metal cutting. The press cylinder achieves a face pressure of up to 315 MPa; chips of non-ferrous metals, steel, cast iron, and aluminum chips are pressed into high-density briquets. Briquets are formed to a diameter of 70 to 80 mm, length of approximately 90 mm, and an approximate weight of 2kg (depending on material). Throughput ranges from 100-800 kg/hr. The BrikStar Magnum is outstandingly suited for the professional production of briquettes. Due to its special hydraulic system, it is extremely energy efficient. 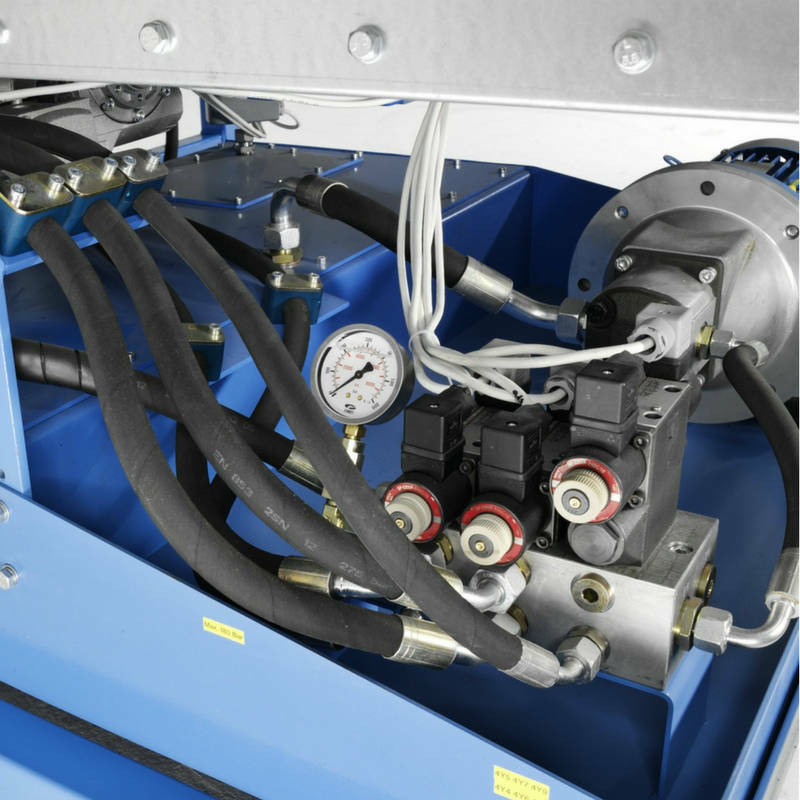 Where other machines require a hydraulic pump of 30 kW or more. The BrikStar Magnum achieves outstanding throughput and briquette density with only 22 kW. This unit with built-in water cooling is suitable for forming briquettes from what are otherwise regarded as ‘difficult’ materials. The way the press is constructed permits rectangular briquettes with a high density of approximately 1kg/dm3 to be produced and to comply with DIN Standard 51731. The press cylinder exerts a pressure on the briquetting material of up to 1220 kg/cm3 (17400 PSI). The hydraulic clamp is 700 mm long and water-cooled for consistent briquetting quaility, no matter how many hours it is in operation. No binding agent or other auxiliary materials are required. For some materials it is necessary to provided for a 1.5 meter long vibration damper. The briquettes measure 135 x 65 x 80 to 100mm and when using solid wooden chips has a calorific value of 15 to 18 MJ/kg. Their rectangular share is ideal for automatic or manual packaging, as well as for stacking, transporting and storing finished briquettes.